Earn $209.90 in Rewards credit. Click to learn more. 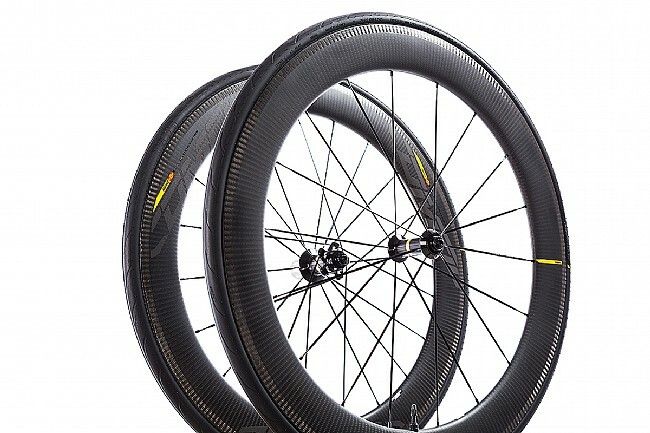 Combining their most cutting-edge technologies, the 2019 Comete Pro Carbon SL UST Wheelset from Mavic delivers aerodynamic advantage without compromising crosswind stability or low weight. 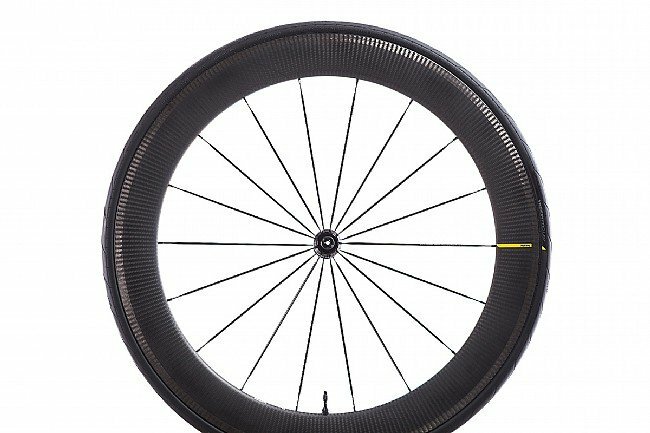 At 64mm deep and 26mm wide, the rim provides an airfoil that reduces drag while also minimizing the impact of crosswinds. 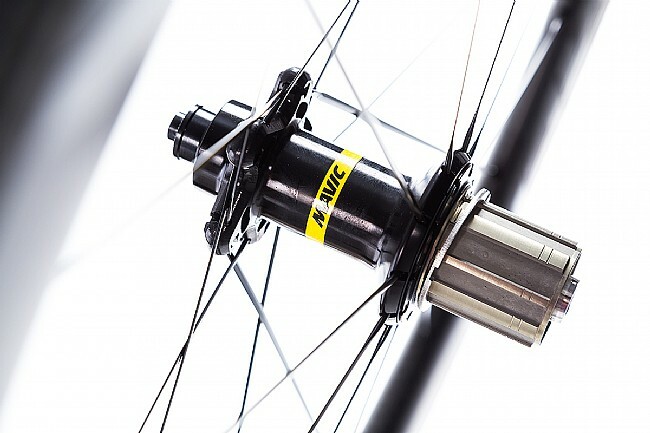 Featuring iTgMax carbon rim technology, a laser treatment that removes the first layer of resin on the brake track, these rims offer reliable brake performance in wet and dry conditions. 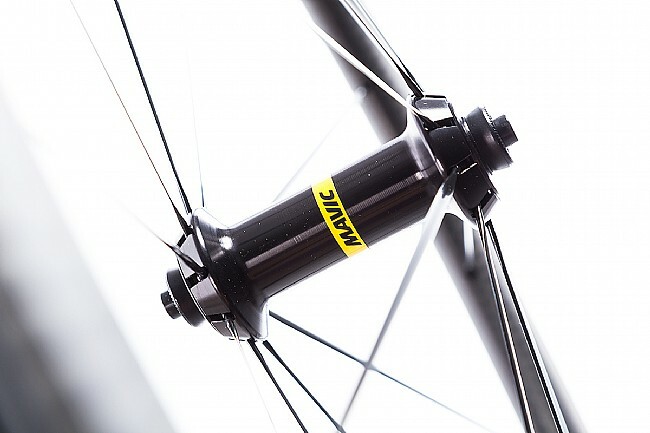 For enhanced rolling efficiency, these wheels are equipped with UST Road Tubeless technology; Mavic claims it improves rolling efficiency up to 15% compared to non-tubeless tires at the same air pressure. 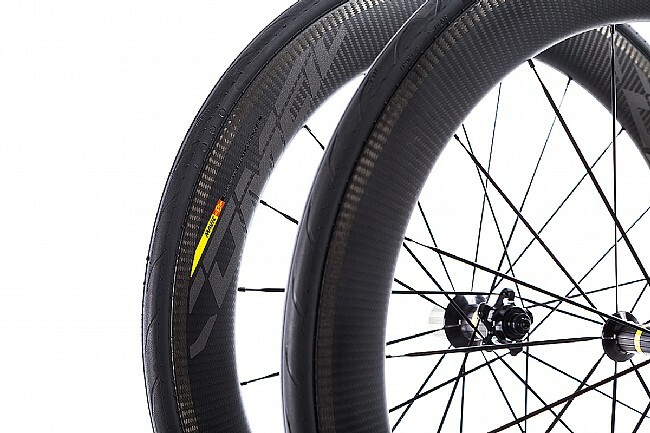 UST Road Tubeless Technology also improves overall ride quality since it allows you to run lower PSI, yielding smoother handling and better control. 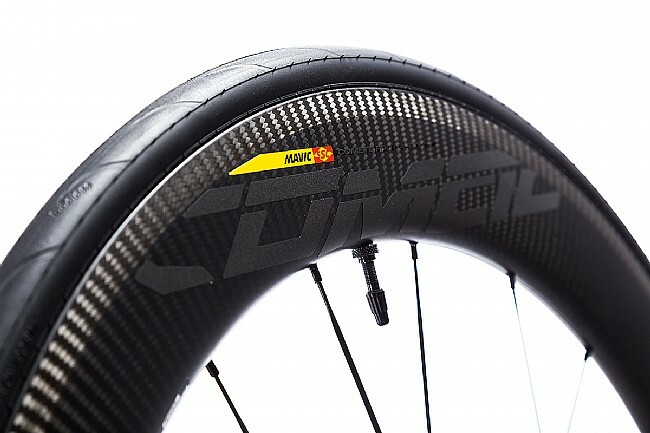 Rim Material: 3K carbon fibers with iTgMAX technology. 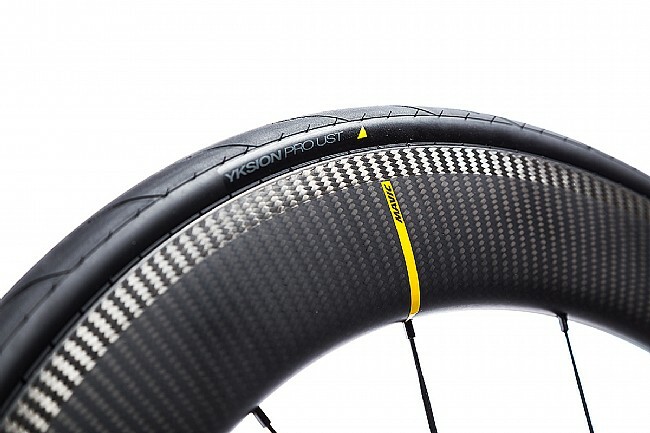 Tire Type: Includes Mavic Yksion Pro UST (700 x 25), tubeless ready. Rim Width: 19mm (internal), 26mm (external). Axles: Aluminum QR (front & rear). Bearings: Adjustable sealed cartridge, QRM+ (front); auto adjust sealed cartridge, QRM Auto (rear). Spokes: Steel, straight pull, aero, double butted. Spoke Count: 18 (front), 20 (rear). Max. Rider Weight: less than 120 kg (264 lbs). Weight: (w/o tires) 1635 grams (pair); 740 grams (front); 895 grams (rear). Manufacturer Warranty: Limited, 2 years from the date of purchase.